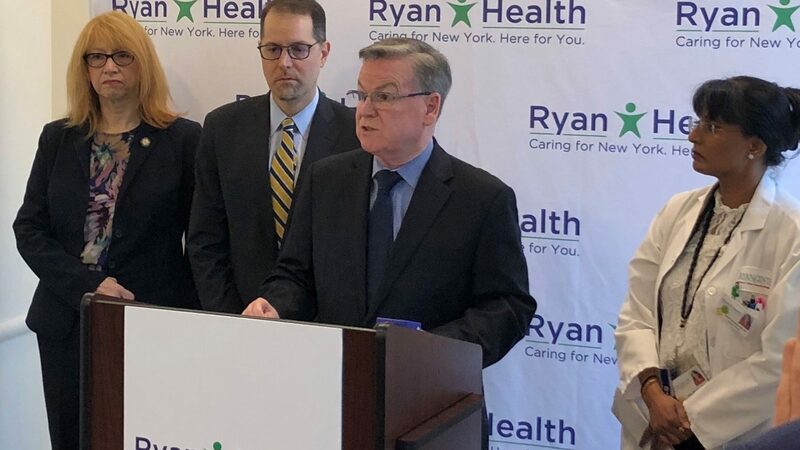 NEW YORK — Ryan Health, a mission-driven network of community health centers in New York City, today unveiled a new program aimed at treating opioid addiction, which killed nearly 1,500 people in New York City last year. The Medication Assisted Treatment (MAT) program is launching in time for the holiday season, when depression, stress and anxiety can lead to substance abuse. The goal of the MAT program is to get New Yorkers off crippling and deadly opioids — including prescription painkillers like Percocet, Vicodin and oxycontin, as well as heroin. Ryan Health announces this opioid treatment program just as the Centers for Disease Control and Prevention releases a new report showing that US life expectancy declined in 2017 from 2016 due to opioid use. Overdoses reached an all-time high, and have quadrupled over the number from 1999; overdoses from opioids are up nearly six times in 2017 from 1999. The medication used in the MAT program to step down from opioid addiction is buprenorphine, or bupe for short. Bupe is used over time to stop withdrawal symptoms and cravings, making it easier to break the cycle of addiction. Individuals on bupe lead more productive lives freed from the fog of opioid addiction. Under the MAT program — which is recognized as the gold standard in addiction treatment — Ryan Health will screen all patients age 18 and over utilizing a standard screening tool for alcohol and substance use. Patients who screen positive are addressed clinically and offered behavioral health services for addiction, which is where they are assessed for the MAT program. In addition, outreach staff are working with community-based organizations and local hospitals for referrals to the program. An opioid overdose can cause users to stop breathing. Opioid abuse has reached epidemic proportions nationally, with 72,000 deaths in 2017; in New York City, 1,487 people died of overdoses last year. According to the New York City Health Department, fentanyl was detected in 57 percent of all overdose deaths in New York in 2017. According to the National Alliance on Mental Illness (NAMI), the holidays can lead to depression, stress and anxiety, which are all triggers for substance abuse. The MAT program at Ryan Health is a resource in the community for individuals struggling now and throughout the year. 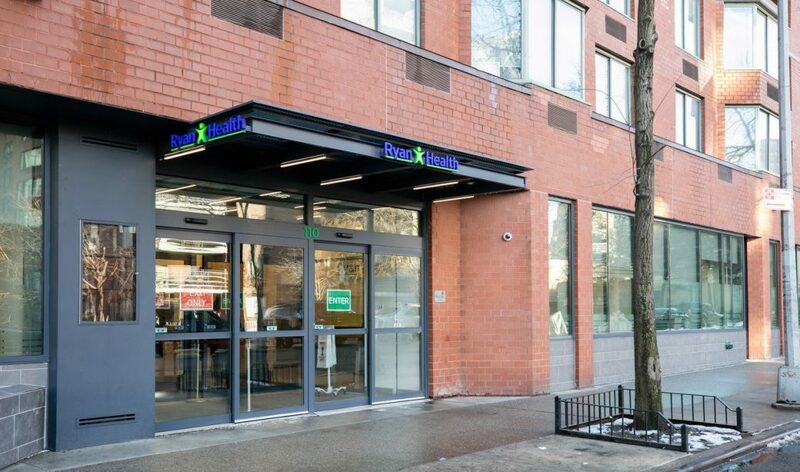 Ryan Health is uniquely positioned to address the latest epidemic facing New York City. During the 1980s, Ryan Health was a leader in HIV treatment and prevention, work that continues today. 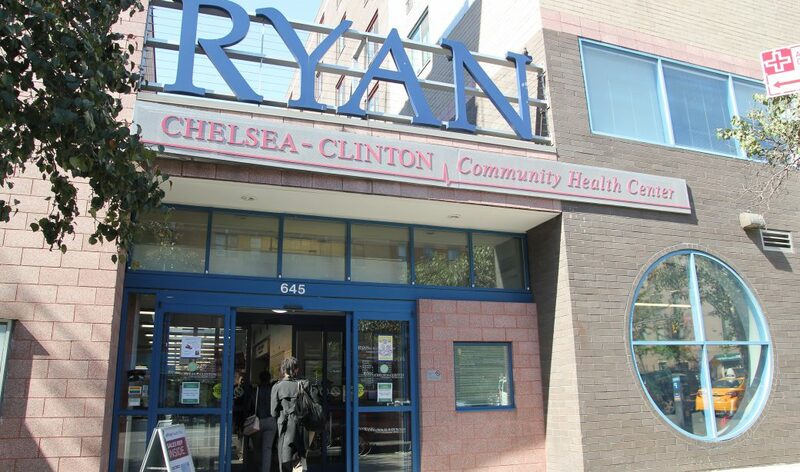 With several patients living with HIV, physicians at Ryan Chelsea- Clinton are both HIV and MAT certified. In addition, staff are trained in trauma counseling, an important treatment modality as many individuals with opioid use disorder are survivors of trauma. “It is essential that we provide community-based solutions to the opioid overdose crisis, and Ryan Health's pioneering model is helping to bring those solutions directly to the people who need it most, when and where they need it most," said Assemblymember Linda B. Rosenthal, Chair of the Committee on Alcoholism and Drug Abuse. "Medication assisted treatment (MAT) is the standard of care for opioid addiction, a proven and effective tool that will save the lives of our loved ones. During the holiday season and all year round, we must be expanding access to MAT, and I look forward to continuing to work with Ryan Health to do just that." The MAT program at Ryan Health is funded by the New York City Department of Health and Mental Hygiene through a contract with Public Health Solutions. Launching Ryan Health’s MAT program required hiring nurse care managers and addiction services coordinators. In addition, staff have undergone intensive training in bupe, naloxone, behavioral health issues, and lab testing. Initially, MAT will be offered at Ryan Health | West 97th Street and Ryan Chelsea-Clinton, while screenings will take place at the network’s other locations including Ryan Health | NENA, Adair, Frederick Douglass, and Women & Children’s. Ryan Health (formerly The William F. Ryan Community Health Network), is a Federally Qualified Health Center (FQHC) based in Manhattan that has been providing high-quality, comprehensive and affordable primary and specialty care to New York’s diverse and underserved communities since 1967. Ryan Health’s tagline, “Caring for New York. Here for you.” unites its network of 18 not-for-profit sites. These include six community health centers, seven school-based health centers, four community outreach centers, and a fully-equipped mobile medical van, which together share a common mission, supported by the founding principle that healthcare is a right not a privilege. Ryan Health’s staff of nearly 600 play an integral role in caring for over 46,000 patients annually. For more information on the health care services Ryan Health offers, visit www.ryanhealth.org.